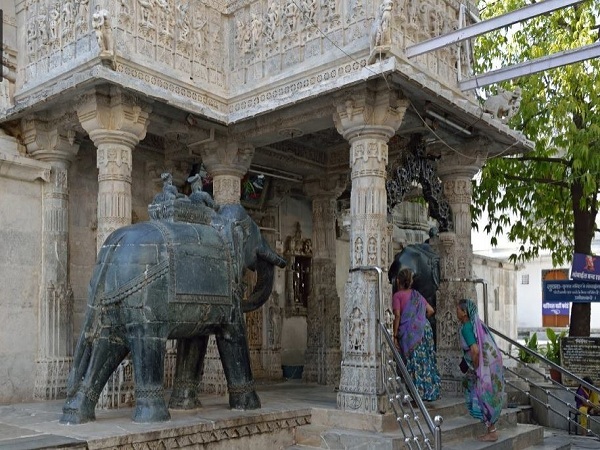 At a distance of 40 km from Udaipur on Udaipur-Ahmedabad national highway, there is Jain Teerthankar Rishabhdevji's Temple in Dhulev village. Rishabhdev ji is also known as Kesariyaji or Kesariya Nathji. 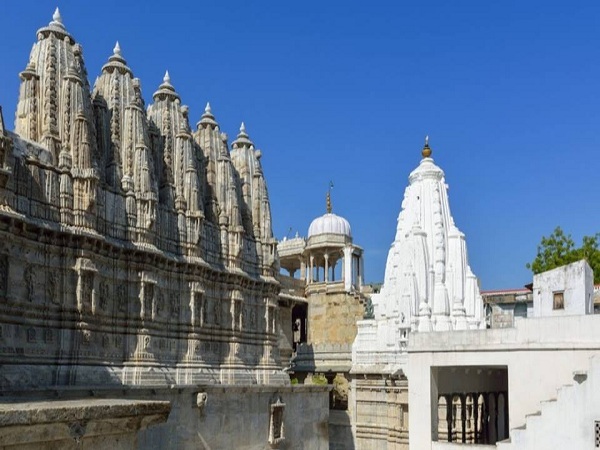 This ancient temple is located at the bank of river Koyal and is surrounded by caves in Aravali mountain range.There are marble mindes in the nearby area and thus its a center of marble trade. 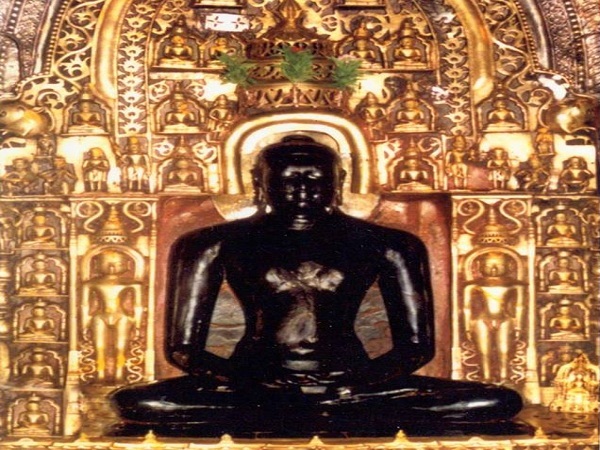 The prime deity of this ancient temple is of Lord Shri Rishabh Dev, who was the first Teerthankar of Jain dharma.This prime deity is in the padmasana posture. This temple is worshipped by both Digambar and Shwetambar sects of of Jain Dharma. Separate timings are allotted for performing pooja by both the sects. 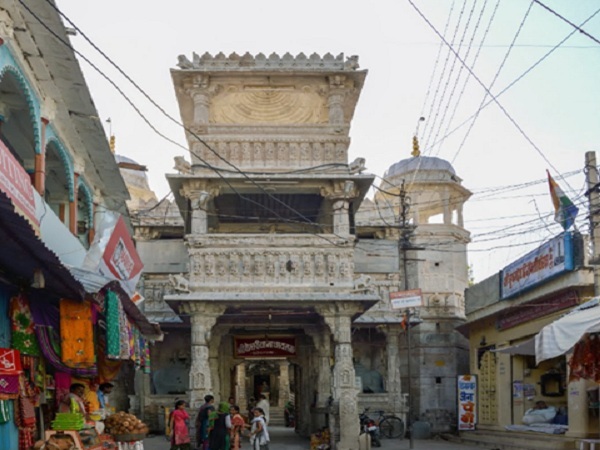 This temple is revered not only by Jain devotees, but also Viahsnav Hindus, Meena, Bheel and all the other religious communities. Rishabh Dev is known as Kesariaji due to the reason that a no. of pilgrims offer large amount of Kesar (saffron) to their beloved lord here. The idol of Rishabh Dev is made of black stone. Lord Kesariyaji is known as Kaliya Babab by the local tribal groups here. The temple consists of 23 idols and, its entrance has beautiful scriptures of elephants. A huge celebration with yatra is observed on 8th and 9th of Chaitra Vadi. Restauraent and a local inn is available here on rent for the pilgrims. At present, Rajasthan government maintains the functioning of the temple and the best inn for staying here is Kika Bhai inn. The temple remains open for darshans from 4 a.m. to 9 p.m. It remains closed between 11 am to post lunch due to shayan. By Road: Rishabh Dev 0 km. By Train: Rishabh Dev 11 km. By Air: 70 km from Udaipur Airport.